[Annual Bay Area anarchist bookfair, 17th] / Hugh D’Andrade. 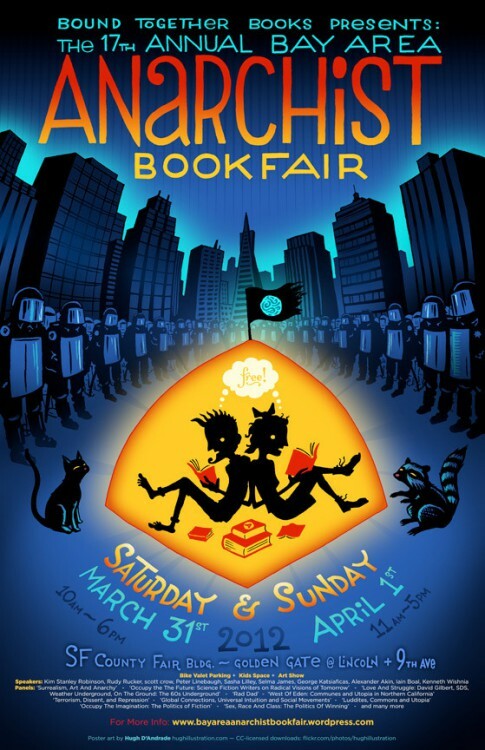 — San Francisco : Bay Area anarchist bookfair, 2012 . — 1 affiche (impr. photoméc. ), coul. (quadri) ; x × y cm. Bike valet parking • kids space • Art show.